Item # 313879 Stash Points: 18,995 (?) This is the number of points you get in The Zumiez Stash for purchasing this item. Stash points are redeemable for exclusive rewards only available to Zumiez Stash members. To redeem your points check out the rewards catalog on thestash.zumiez.com. 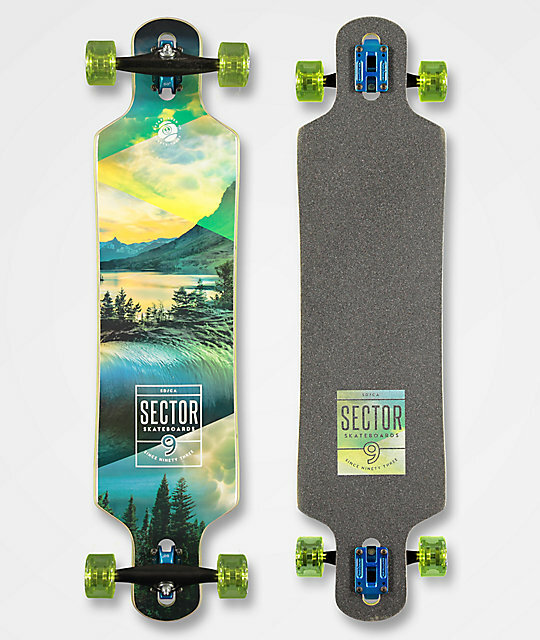 For an excellent cruiser from the boardwalk to the sidewalk, grab the Sector 9 Mirage Meridian 40" Longboard Complete. This classic drop through provides large wheel cut outs for loose trucks and nimble turns, while the moderate concave throughout hold ths board to your feet like glue. Gullwing Charger trucks maintain a stable ride at high speeds and the abec 5 bearings keep you cruising more and pushing less in smooth style. Mirage Meridian 40" Longboard Complete from Sector 9. Drop through construction with Medium concave with no flex. 7-ply maple and bamboo construction. 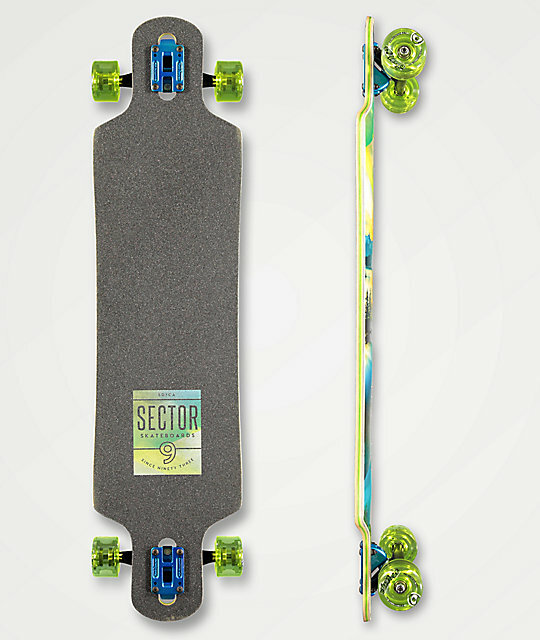 Sector 9 Race Formula 74mm, 78a wheels. Abec 5 Push Don't Pollute Bearings. Black grip tape applied to top with custom logo graphics.